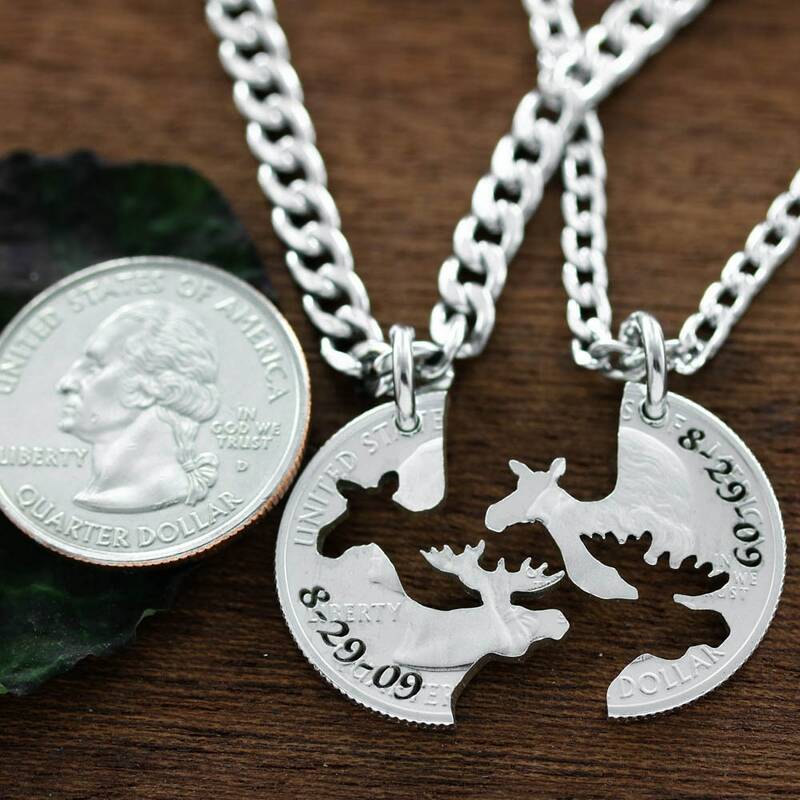 These necklaces are cut by hand from the same coin, so each side shows both the female and male moose. 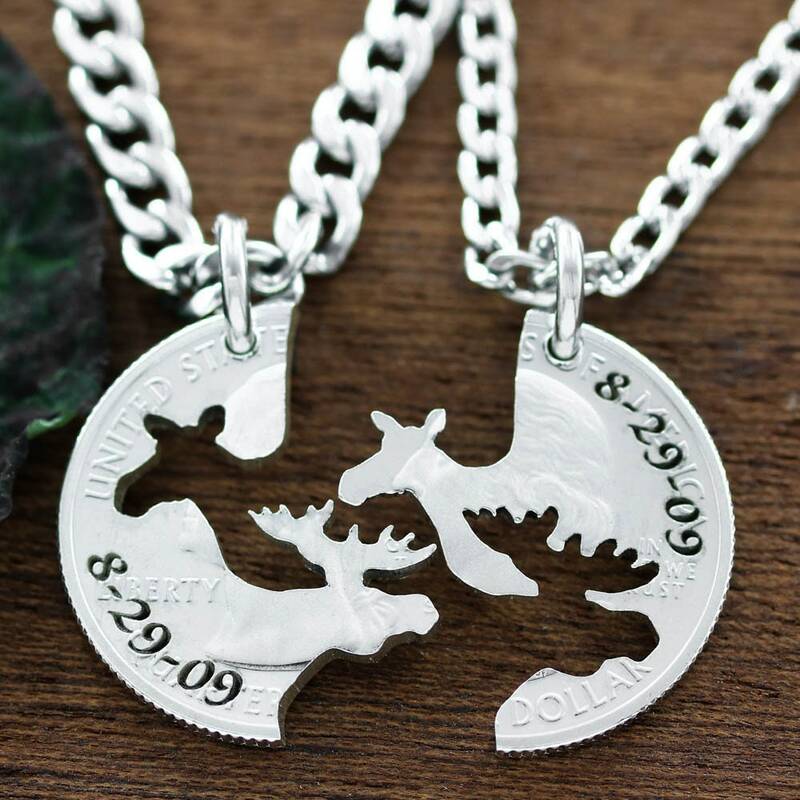 It makes the perfect his and her set, especially for hunter couples. We deeply engrave the date of your choice. Every detail is meticulously cut by hand with a small jeweler's saw. Would you like this cut on a special year OR state quarter? 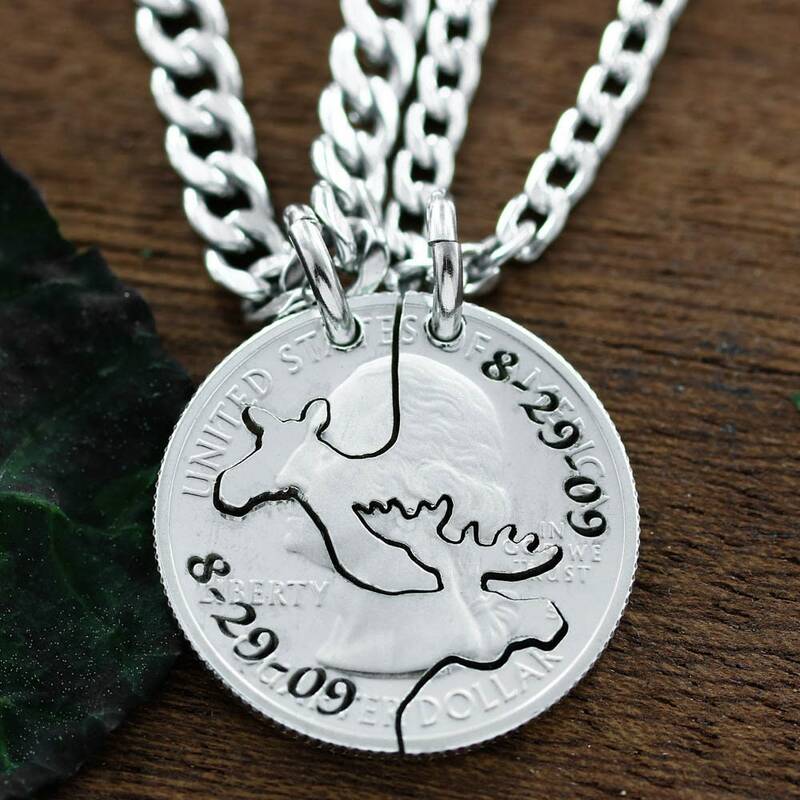 (STATE QUARTERS ARE ONLY POSSIBLE IN THE YEAR THEY WERE MINTED) Just put your request in your order comments and we will cut it on that coin. Make sure and tell us if you want it cut on the HEAD SIDE OR THE TAILS (state and date) side. You can select your "chain length and thickness" in the options bar as well. 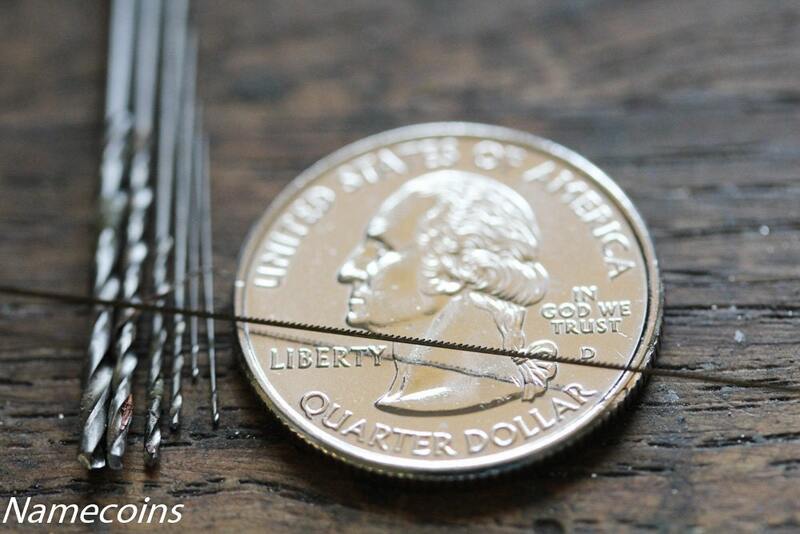 20"thin means- 20 inches in length with the thinner links, as shown on the right side pendant in the picture.